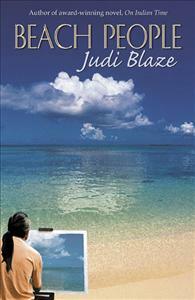 Beach People is the heartbreaking story of two friends connected by love, deception and fear. It is a slice of life that evokes memories of past loves, rocking boats on a silent bay, and friends who remain in hearts forever. A combination of mystery, suspense and romance, Beach People takes place on the Oregon coast where fishermen, loggers and artists make up the sum of the three villages. It is heartfelt and happy at times, heartbreaking at others. The characters are rich and sharply drawn – rugged, gentle Monty, brilliant but tortured Pepper, Larry, a sociopath parasite snared by his own duplicity, the mad-hatter Marco, and Barb, the seductress, whose arrival changes the town forever. Beach People is the story of two friends connected by love, deception and fear. It is a slice of life that evokes memories of past loves, rocking boats on a silent bay, and friends who remain in hearts forever. Beach People takes us to the cliffside overlooking the ocean of average coastal inhabitants and drops the reader slowly, slowly over the edge into the extrodinary and heart breaking aspects of these people's lives...Well written and well worth reading = highly recommended!